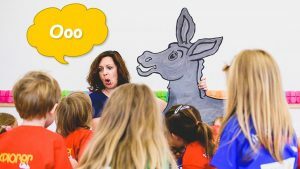 “The library sessions run by the Little People’s Drama Company complement and enhance our aim to engage children with books and stories, help build their confidence and imagination, and support their social development. The leader has been called a Superstar by customers, who love the enthusiastic, interactive and inclusive style of the stories and activities. They are fun, fast paced and imaginative, and keep young children interested throughout the session. Weekly Sessions – Little People’s Drama Company have been with us for our after school hobbies each week for the past year. During this time the hobby has been incredibly popular and often over subscribed! The children have a fabulous time from start to finish. Throughout the hobby they are fully engaged and clearly having lots of fun as well as learning to listen to each other and growing in confidence to perform. 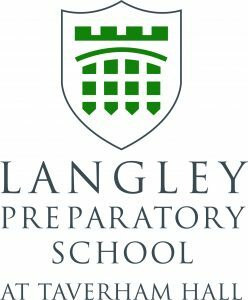 Activity Week – In September 2016 we asked Little People’s Drama Company to run a three day activity week for our children to help them get to know their new friends as the two schools merged together. From start to finish Little People’s Drama club were extremely helpful organising ideas and themes to attract the children’s interest. The staff were focused, enthusiastic, responsible and extremely engaging throughout the three days of pirates and thematic and dramatic entertainment and education for the children. All of those who attended the sessions thoroughly enjoyed them and our aim was fulfilled; we started the term with some cheerful children mixing beautifully together. I would highly recommend the Company. Poppy loves the classes each week and staff are always so positive and encouraging. The classes excellent for developing creativity and imaginative play/communication skills. The real life role play scenarios have been excellent in developing her understanding of the world around her for example when she became ‘a vet’ last week! These are all skills which are very important in the first year of school and beyond. Her confidence has grown in responding to discussions in larger groups and answering questions as well as recognising the importance of taking turns in circle times. I couldn’t recommend this class enough makes a big change from lots of music groups that are out there. Also gives me and my daughter inspiration for different activities at home following the sessions, no more bored wet and rainy days!!! “We can’t wait to come back – we tried out a franchised based class as Arthur also really enjoys singing & dancing but it wasn’t very good, no where near as imaginative, creative & as fun as Little People’s so we’re very much looking forward to coming back. We started Little People’s around the Easter term and I noticed a huge difference in Arthur after a few sessions in that he started initiating much more imaginative role play at home – often using the previous weeks theme to replay at home. I am fully aware that this is due to Little People’s drama sessions – Arthur would completely immerse himself into the sessions, he completely loved it and Hannah was wonderful in engaging all the children. I am constantly telling people about you guys – I can’t think of a better way to introduce little people to a love of imagination & creativity! When I asked Rose to tell me what she liked best about drama with Jo, she said “everything”!